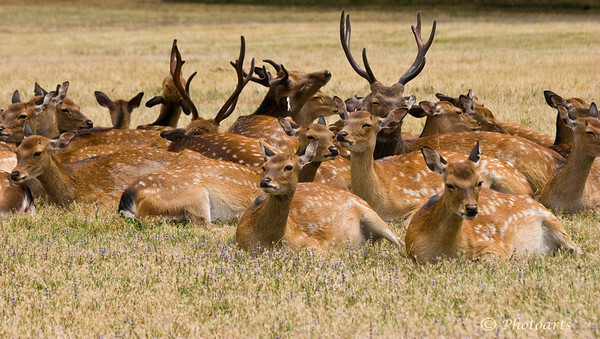 Number of Deer huddled together was captured in Central Oregon. This is so beautiful!!! Axis deer is my favorite. Thanks for your comment, these are actually Axis or Chital deer. Terrific shot...are these sitka deer? Wow, what a big mixed group; great find!